Thank you to our InspiredLifeGR 2016 speakers. Click on their images below to learn more about our talented and inspirational team. Announcements for our 2017 Line-up will be made soon! Bryan Nixon is a Licensed Professional Counselor who specializes in integrating mindfulness and body awareness with traditional psychotherapy in order to invite his clients to live into the fullness of who they are created to be. He approaches the work of counseling from a holistic perspective, acknowledging the critical connection between mind and body. Bryan holds to the belief that you are much more than a list of symptoms. He believes that symptoms hold deeper meaning and invites his clients to engage the deeper story of those symptoms with curiosity and compassion. Bryan received his Master's of Arts in Counseling Psychology from The Seattle School of Theology and Psychology in 2007. He has been working in the field of psychology since 2002 and specifically as a counselor since 2007. Carol has been teaching mindfulness in the Greater Grand Rapids Area since 2008 and has led hundreds of students through the Mindful Based Stress Reduction program. Her certification is from the Center for Mindfulness at the University of Massachusetts Medical School, where she has completed extensive professional training. She has also completed training in Mindful Self-Compassion, Interpersonal Mindfulness and Mindful Eating. Carol founded and directed Expressions of Grace Yoga from 2003 through 2012 and has been a certified yoga teacher for more than fourteen years. Prior to her mindfulness career, Carol spent 20 years in business, with her last position as co-owner and vice president of a West Michigan wholesale clothing company. David Johnson, MD, FACC is a board certified cardiologist with specialized training in integrative medicine from the Arizona Center for Integrative Medicine founded by Dr. Andrew Weil. His training in cardiology made him an expert in diagnosing and managing the physical aspects of heart disease. Despite this training, he saw unmet needs of many patients who also suffered from adverse lifetime experiences, unhealthy lifestyles and harmful environmental exposures that he, nor many of his colleagues in allopathic medicine, were adequately trained to manage. Dr. Johnson has traveled throughout the Western hemisphere to explore diverse healing strategies from the ancient traditions of shamanism to the most advanced modern medical care. The result is an integration of various aspects from this travels and trainings and is what he refers to as integrative cardiology. This holistic approach understands that the body, mind and spirit work collaboratively to create the reality of our individual and collective lives, whether in sickness or health. Although treating the physical signs and symptoms of disease can reduce suffering, it is equally as important to explore the contributions of the mind, emotions and spirit in the balance between health and sickness. His unique approach both guides and empower individuals on their journey towards health and wellbeing. To learn more visit his web site at www.davejohnsonmd.com and follow him on Facebook under Dave Johnson MD. Born in Findlay, Ohio he currently resides in Holland, Michigan with his wife, two daughters and family dog. Kelly Hassberger, Naturopathic Doctor, graduated with a Doctorate in Naturopathic Medicine, with highest honors, from Southwest College of Naturopathic Medicine in July of 2011. She then went on to complete a 1-year general medicine residency in Naturopathic Medicine. Dr. Kellt has always had a passion for medicine and through growing up in a household that opened her up to the power of a healthy, loving, fulfilling life, she found her passion in Naturopathy. Dr. Kelly is the owner of Grand Rapids Natural Health. She also lives part time in Puerto Rico where she finds balance in her life running an organic juice bar and cafe. Throughout her life and her career as a Naturopathic Doctor, Dr. Kelly has been inspired to teach the community how they can better their lives physically, mentally and emotionally. This vision helped Dr. Kelly to create InspiredLIfeGR, a platform she hopes will touch many and help others to learn that they can truly build the life they have always dreamed of. Linda received her Bachelor of Arts degree in 1976 at Bowling Green State University in Bowling Green, Ohio. After graduation she worked at a facility and workshop for people who were developmental delayed. In 1982 she went to Logan Chiropractic University in St. Louis, Missouri. Linda graduated December 1985 and moved to Boston in 1986. In Boston she worked in a holistic center with eight treatment rooms, including chiropractic, massage therapy, physical therapy, acupuncture, naturopathy, and energy therapies. She left Boston in 2012 and started practicing at Holistic Care Approach in February 2014. Linda practices a non-force or non-osseous (meaning no cracking) technique called Dynamic or Directional Non Force Technique or DNFT. She also performs osseous or cracking adjustments. Linda applies myofascial techniques for muscles and sacro-occipital technique to help adjust the pelvis and head, along with muscle testing and energy therapy. Her energy therapy techniques include Flow Alignment and Connection, and Zero Balancing (ZB), which combines touch around different joints in the body, along with an application of contraction and stretch to set up the opportunity for energy to move through the body. Linda is interested in truly finding out the underlying issues for each new patient and then determining the best plan of treatment for that individual. 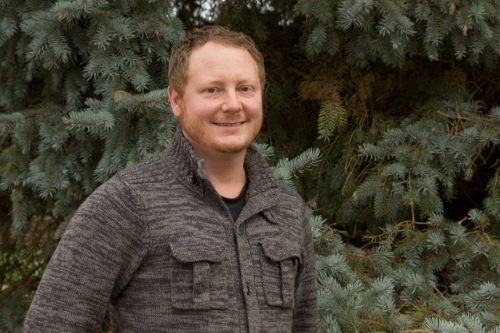 Micah McLaughlin is a Naturopathic Practitioner specializing in the integration of the body and mind. With curiosity and investigation Micah brings attention to energetic and emotional blocks underlying symptoms. Herbs, flower essences, supplements, and breath work are used as Micah helps people connect to who they truly are. Through teaching and consulting he guides his clients to shed their limiting beliefs and embodied patterns to find healing physically, emotionally, and spiritually. Micah was trained at the Naturopathic Institute of Therapies and Education and founded Continuum Healing in 2008 and co-founded The Wellness Collective GR in 2014. Dr. Sue Dilsworth is a Licensed Clinical Psychologist, Certified Yoga Therapist and Yoga Instructor (eRYT500) working in the Greater Grand Rapids area. Sue has worked as a psychologist in university settings, non-profit agencies and private practice for the past 16 years. In addition to her clinical practice, Sue has trained extensively with Amy Weintraub(author of Yoga For Depression and Yoga Skills for Therapists) and serves as a faculty member and mentor for the LifeForce Yoga Practitioner Training program. Sue is a mentor for the Inner Peace Yoga Therapy Training Program and is an adjunct professor for the Adler Graduate School of Psychology. Sue is a holistic health practitioner that establishes treatment protocols that are specifically designed to meet individual needs. Mat meets couch; based on extensive research and evidence-based practices, Sue incorporates yoga, meditation and mindfulness as effective self care strategies for managing moods, overcoming illness, addictions and healing past wounds. Yoga and yoga therapy are the perfect adjunct to a mental health, physical therapy and chiropractic interventions. Sue is passionate about helping people take a break from telling their "stories" and finding greater meaning as they explore their true nature (SatNam) through mindfulness based practices. Sue is the owner of Heart’s Journey Wellness Center in Allendale, MI. Dr. Vince Scheffler completed his undergraduate degree in Exercise Science at Hope College in Holland, Michigan. Dr. Scheffler holds a Certified Chiropractic Sports Physician (CCSP) certification through the American Chiropractic Board of Sports Physicians (ACBSP) and specializes in sport specific rehabilitation. He maintains a Certified Strength and Conditioning Specialist (CSCS) license through the National Strength and Conditioning Association (NSCA). Dr. Scheffler was recently appointed to the USA Gymnastics National Health Care and Sport Science Referral Network. Over his years in practice Dr. Scheffler has been blessed to work with many sport organizations including; the Association of Volleyball Professionals (AVP), the Frisco Rough Riders (Texas Rangers AA minor league affiliate), Rock Racing (Professional Cycling Team), USA Triathlon (USAT) Elite team, World Olympic Gymnastics Academy (WOGA) and numerous other triathlon clubs and high schools in the Dallas/Ft. Worth Metroplex. Currently Dr. Scheffler is a member of the Hope College Sports Medicine staff. Dr. Vince's multi-sport background has given him the ability to relate to athletes of all levels and disciplines. His unique approach to treating this subset of patient has gained notoriety on a global level. Dr. Vince has dedicated his practice to educating a wellness lifestyle. He has been invited to speak to many locals businesses on creating a wellness environment where people thrive. He is excited to share some of these ideas with you at InspiredLifeGR 2016.